Born in Germany, Kroll came to Canada at the age of 20. For more than 25-years he engraved his name in Canadian motor-sport history. As a driver, team owner and car builder, Kroll competed at some of the highest levels of racing in North America. Kroll won the Canadian Driving Championship in 1968, driving a Kelly Porsche, the same car he beat the factory Porsches in a United States Auto Club race at Watkins Glen. A visit to Kroll's trophy room at his Scarborough condo is testimony to the success this privateer racer has had at every level he has competed. Kroll has done it all, including Formula Vee, Formula A, Formula 5000, Sports Cars, Players GM series and Can-Am. From his small auto repair shop in West Hill, Ont, Horst manufactured a fleet of 18 Altona Formula Vees, his cars winning the 1969 Canadian Formula Vee Championship, with Brian Steward behind the wheel. Many young drivers including myself got there start in one of Kroll's Altonas. 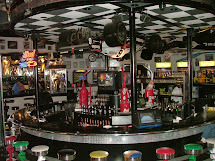 Over the years Kroll provided auto repairs, specialized vehicle restorations and personal racing services. 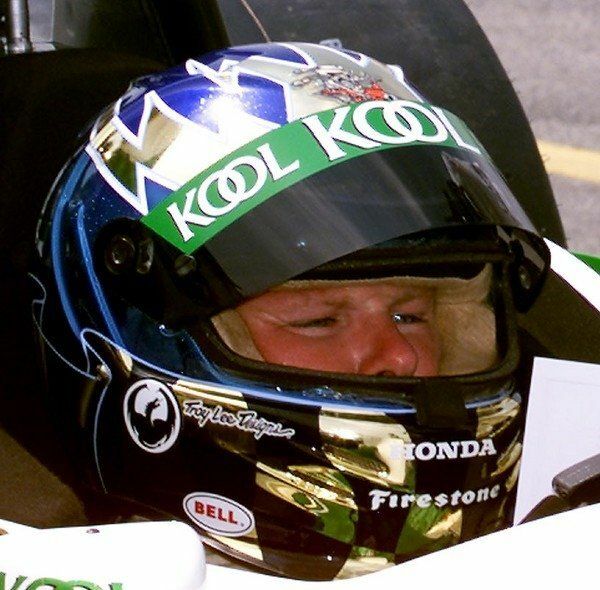 Kroll's cars provided rides for drivers such as, Paul Tracy, Bill Adam, Joe DeMarco, Duff Hubbard, John Graham, Mike Freberg, and Jacques Villeneuve Sr, just to name a few. Of the many achievements, his biggest accomplishment was winning the 1986 Can-Am Championship, after being runner up the previous year and third in 1984. Kroll made more starts in Can-Am than any other driver, putting his name in the SCCA record books for the most consecutive top 10 finishes at 18 and the most consecutive finishes at 23. To me these records were most deserving. In over 3 seasons as a crew member with Horst, we never knew what it was like to have a DNF. Anyone who knows Horst will tell you, the one thing that stood out is the never say quit attitude in which he approached every race. In 1994 Horst was inducted into the Canadian Motorsport Hall of Fame. The Canadian auto racing legend died suddenly at home of natural causes on Thursday, October 26, 2017 in his 81st year. Kroll and his Frissbee KR-3 - 2007 VARAC Festival. He is the SpeedSource team owner and driver, currently competing in the Tudor United Sports Car Championship. He won his first race in which he participated, a SCCA (Sports Car Club of America) event at the age of 16. Since 1998 to 2013, he started 99 races in the Grand Am Rolex Series, with 11 victories, 34 podiums and accumulated 18 pole positions. He is a two-time winner of the 24 Hours of Daytona in the GT class, taking victories in 2008 and 2010. He now lives in Coral Springs, Florida, USA. In a non-championship Formula Atlantic race through the streets of Trois Rivieres, Quebec, Gilles Villeneuve driving a March 76B, not only added another win to his belt but he also defeated a brace of F1 drivers led by Alan Jones and defending world champion James Hunt. Both were mightily impressed with Villeneuve's driving and when Hunt got home he raved about Gilles to McLaren bosses Teddy Mayer and Tyler Alexander, and to sponsor Marlboro too. Hunt's enthusiasm convinced Mayer and Alexander to give Villeneuve a try and after a fast, spin-filled test he made his F1 debut in the 1977 British GP at Silverstone. A fantastic showing was muffled by a faulty water temperature gauge which forced Villeneuve to make a pitstop. But as fast as he clearly was Teddy Mayer believed Gilles would crash too many cars and the relationship cooled. As the season wore on, Mayer decided to hire Patrick Tambay instead of Villeneuve. Meanwhile, back in North America, Gilles's was able to wrap-up the Formula Atlantic Championship with a win in Quebec City. The next day Gilles and his manager flew to Italy to sign a two-year contract with Ferrari and two weeks later he would make his Ferrari debut in the Canadian GP at Mosport. Born in Fortune, Prince Edward Island, Canada. A Canadian Motorsport Hall of Fame and Maritime Motorsports Hall of Fame member, Earl is the only Canadian to have won a NASCAR Cup Series race. Earl started his racing career in the late 1960's, driving hobby cars, then he began racing a late model stock car for the McKichan brothers at Delaware Speedway. He was known for being one of only four non-American drivers to have won a NASCAR Cup Series race (the others being Juan Pablo Montoya, Mario Andretti, and Marcos Ambrose). Ross' only NASCAR win came at Martinsville Speedway on September 29, 1974 during the Old Dominion 500. His car was owned by the legendary Junior Johnson and sponsored by the Canadian-owned Carling-O’Keefe Breweries. After qualifying 11th, Ross beat Buddy Baker to the line by more than a lap, thus making him the first and still the only Canadian to have ever won a Winston Cup event. Ron Fellows however has wins in the Nationwide Series and the Camping World Truck Series. At that time, Earl was the first rookie to win a Grand National race since Richard Petty accomplished the feat several years earlier. The win was the push needed for Ross, who could only afford to run a partial schedule, win the Winston Cup "Rookie of the Year" in 1974. After competing in only 2 events in '75 and '76, Ross retired from NASCAR racing. He recorded 1 win, 5 top-5's and 10 top 10's in 26 races. Ross competed in a number of regional racing series throughout the 1960s, 1970s, 1980s and 1990s, including time on the ASA circuit (Bob Senneker, Mark Martin, Rusty Wallace and Alan Kulwicki were competing at the same time) and CASCAR Super Series (which later became the NASCAR Canadian Tire Series) against Canadian legends like Don Thomson Jr. He also participated in regular Friday night racing at Delaware Speedway before his ultimate retirement in the late 1990s. Earl Ross died on Thursday, September 18th, 2014, at his home in Ailsa Craig, Ontario, Canada. He was the age of 73. In a statement released in Daytona Beach, NASCAR paid tribute to the Canadian. “NASCAR extends its condolences to the family and friends of Earl Ross, a true racer whose considerable on-track success helped grow the sport internationally." Paul Tracy of Toronto finished .384 seconds ahead of Kool/Team Green teammate Dario Franchitti to win the CART "Molson Indy Vancouver" at Pacific Place, Vancouver, British Columbia, Canada. There were mixed feelings in the Team KOOL Green camp after the squad's dominant one-two victory. Winner Paul Tracy was overjoyed to have won in front of his rabidly enthusiastic home fans, but runner-up Dario Franchitti was left frustrated after losing the lead when he stalled in the pits. Tracy, who had been suffering all weekend with a fever, said he didn't think he had a chance to beat his team-mate. "We were catching Dario a little bit but it seemed like things were going his way until the pit stop," said Tracy. "Winning in Toronto in 1993 was the biggest race of my career and this is as good as that." Franchitti blamed difficulty with the pit lane speed limiter system for the incident that cost him victory. "I'm pretty disappointed," he said. "I've been using a different pit lane limiter. I didn't like it but the team told me to use it. I dropped the clutch and the engine just died." The Scotsman also sounded frustrated by the team decision to order the two drivers to hold position in the closing stages. "I was going fast enough to keep Paul honest but I knew I wasn't allowed to pass him," he said. Team boss Barry Green played down the significance of the team orders. "Our rules are that whoever comes out ahead after the final pit stops will come home in front," he said, "unless we're getting pressure from the rear. We didn't get a lot of pressure from anyone today though, it's a great day for the team." The other Canadians in the field both had disappointing days. Patrick Carpentier was involved in a crash on lap 3 and his Player's/Forsythe teammate Alex Tagliani dropped out on Lap 63 with a broken suspension. Born in Fredericton, New Brunswick. Bert Brooks was a motorcycle racer before World War II. Following the war, Bert tried his hand at midget racing. Bert competed in midgets and sprints from Florida to Maine. Brooks was one of the countries premier Midget drivers during the busy post-war era. His first race was at Danbury CT. in 1945. In the early years, he drove a Ford-powered car and often won the non-Offenhauser championship. 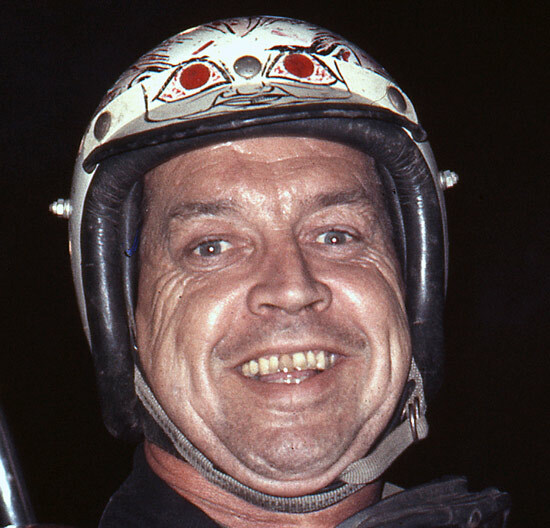 He joined the United Racing Club sprint car circuit in 1954 and won the championship four times, including three consecutive years - 1956, 1957 and 1958. He switched back to the ARDC midgets in 1959. Like many of the open-wheel specialists of his era, Bert Brooks also spent a limited amount of time wheeling stock cars, a division whose popularity was on the rise. Due to a variety of reasons, the Coupes would become the main weekly fare all across New England with the “Mighty Midgets” becoming primarily a traveling circuit. In 1961 Brooks attempted to qualify for the Indianapolis 500. He passed the rookie test but was too slow to make the field in the Hall-Mar Curtis-Offy. He also tried to qualify at Milwaukee the week after Indy, but again was too slow, this time in the Eelco Custom Shaft Kuzma-Offy. Later that year he suffered a mangled arm in a wreck at Flemington. His 23 year career came to an end following a violent multi-car crash during an ARDC Labor Day event at Hershey (PA), Stadium in 1968. In 2009 Bert Brooks was inducted into the New England Auto Racing Hall of Fame. Carl Edwards drove to a .393 second victory over Marcos Ambrose in the NASCAR Nationwide Series "NAPA Auto Parts 200 Presented by Dodge" at Circuit Gilles Villeneuve, Montreal, Quebec, Canada. A total of 8 Canadians started the race, Andrew Ranger was 3rd after leading 10 laps, Jacques Villeneuve finished 4th and lead for 3 laps, Jean Francois Dumoulin (7th), Alex Tagliani (26th), J.R. Fitzpatrick (27th), D.J. Kennington (crash), Ron Fellows (crash), Patrick Carpentier (engine). A ninth Canadian, Daryl Harr failed to qualify.